Timber is one of the most versatile materials that we have available to us; the reason being is that it can be replaced, i.e. 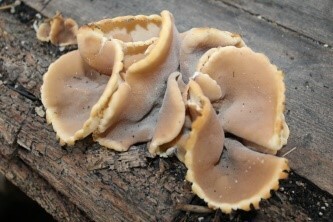 it can be re-grown. 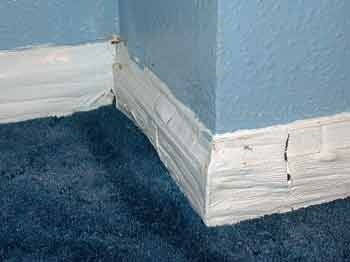 However, because it is an organic material in origin it can therefore be degraded and whilst it is a replaceable commodity, replacement in some cases can be very expensive. 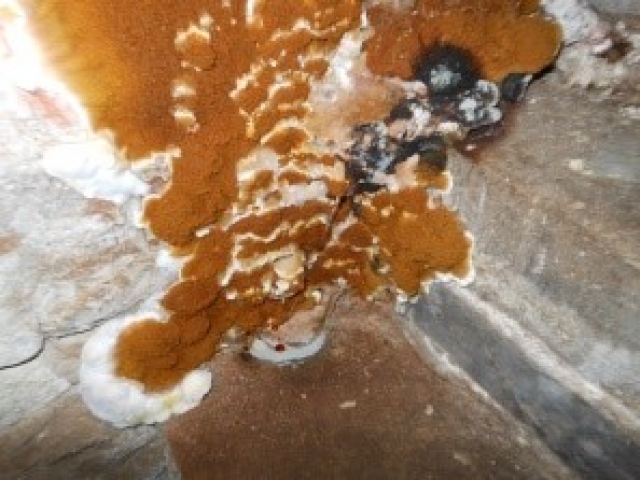 There are basically two sources of degrading, that is ‘chemical degrading’ the other being ‘biological degrading’, this either by fungal decay of insect attack. 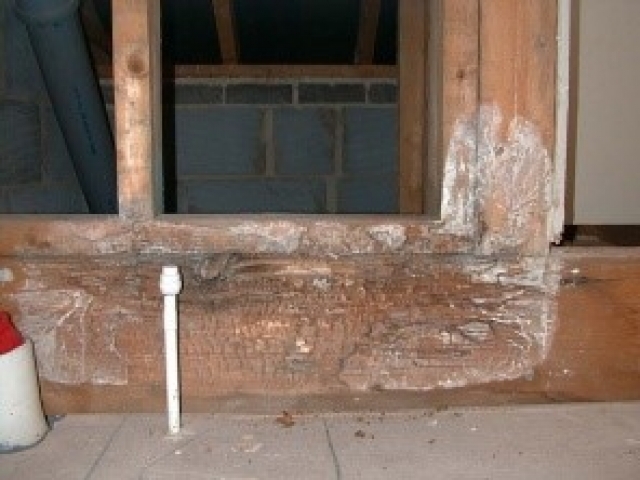 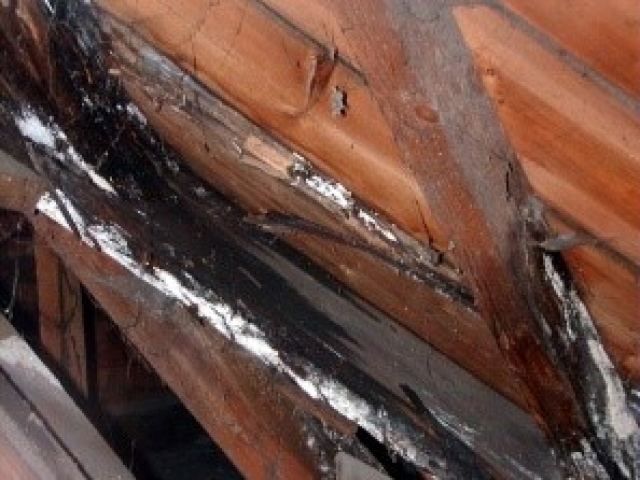 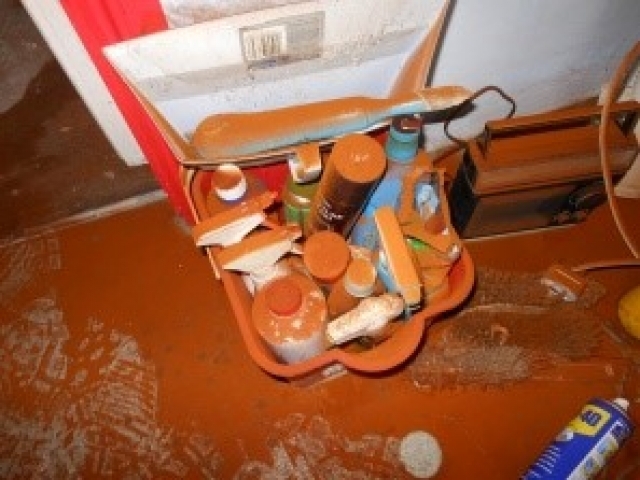 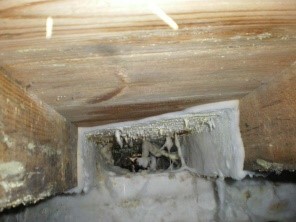 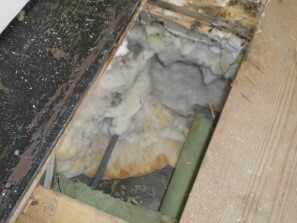 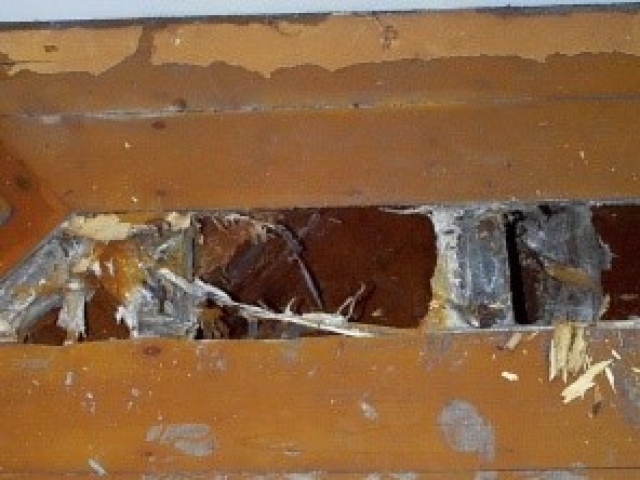 Dry and wet rot decay is responsible for thousands of pounds worth of damage to buildings every year, due to poor property maintenance and repair, resulting in the degeneration of roof, floor and joinery timbers which can eventually result in structural collapse and weakening of a buildings fabric. Wood boring beetles can also, if left to their own devices, cause serious damage to timber again resulting in structural weakening of roof and floor timbers. 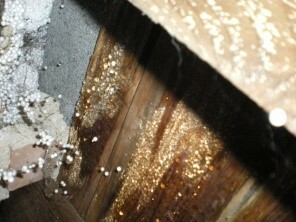 Fungal decay is the term given to all wood rotting fungi, of which there are many commonly occurring species, spread by microscopic airborne spores. 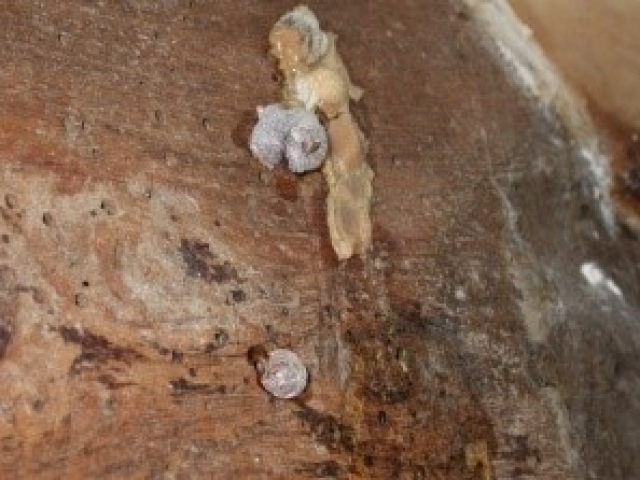 When these spores settle of the surfaces of damp timber, they germinate and develop fine thread-like filaments called hyphae, which penetrate the timber. 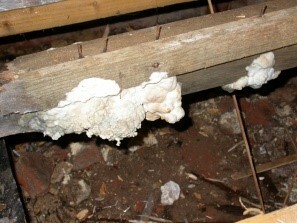 The hyphae then release chemicals called enzymes into the surrounding timber. The decay of the timber is caused by the process of these chemicals dissolving nutrients in the timber, the nutrients are then absorbed by the fungal hyphae, enabling the growth to take place. 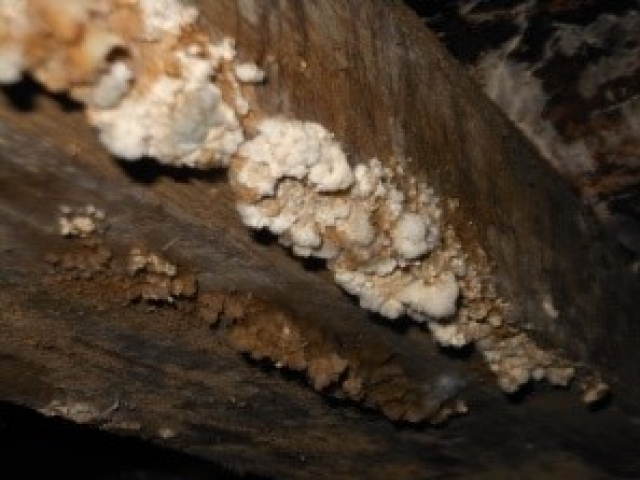 If the moisture content should fall below about 22% then this mechanism can no longer operate and the decay process stops, above 22% the growth continues through the timber through a fine network of threads called mycelium. 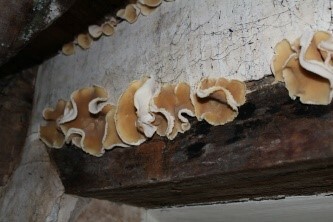 The mycelium of different fungi varies in colour and appearance and this aids in the identification of the growth. From time to time the fungal cycle is completed by the production of a spore bearing fruiting body on the surface of the decaying timber. 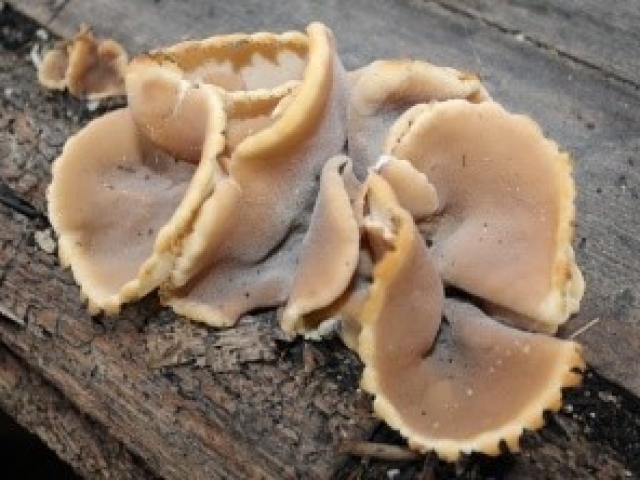 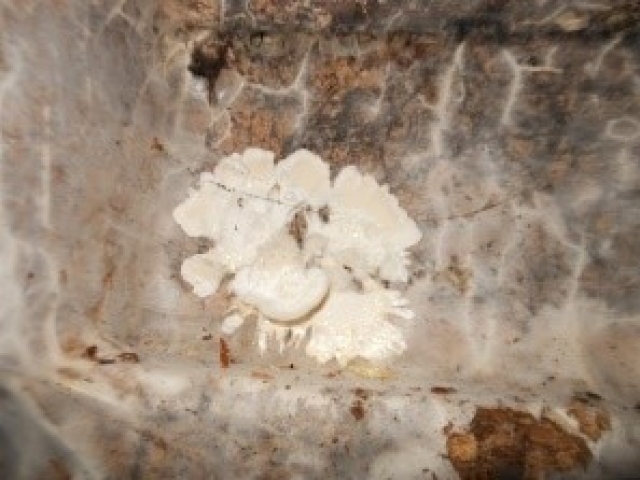 As with the mycelium growth, the shape, colour and appearance of the fruiting body will vary, which can also aid with identification of the decay. 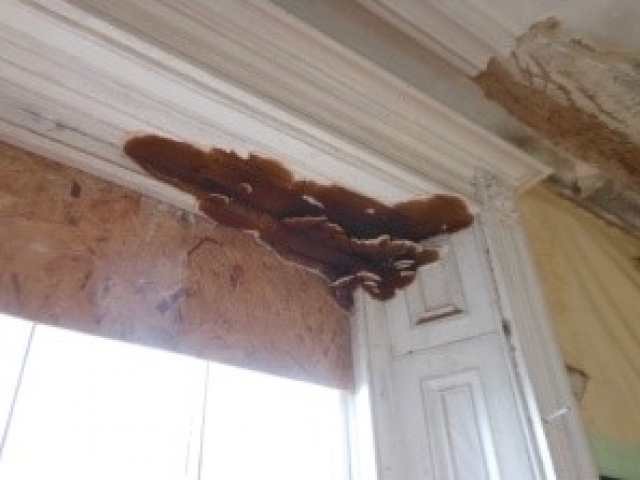 However, not all fungi found in buildings will cause wood to decay, although others can cause catastrophic damage resulting in considerable expenditure and repair work. 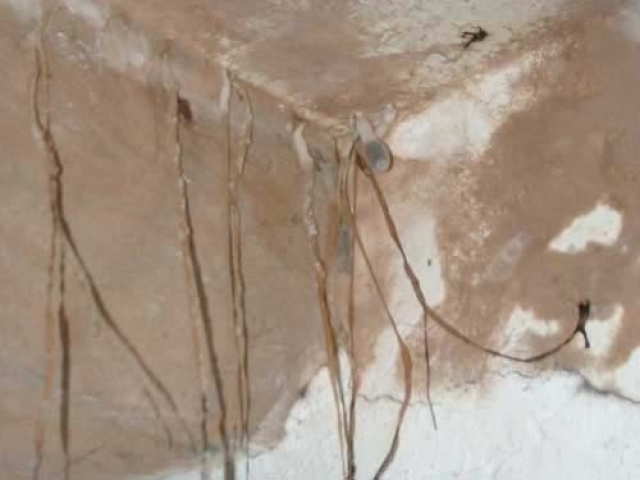 It is therefore that the correct identification of fungal decay is made during the survey so as to ensure that the correct repairs are specified, as the incorrect identification can result in unnecessary expenditure, treatment and repairs but more importantly the loss of the buildings fabric. 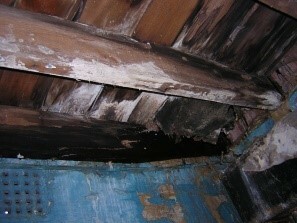 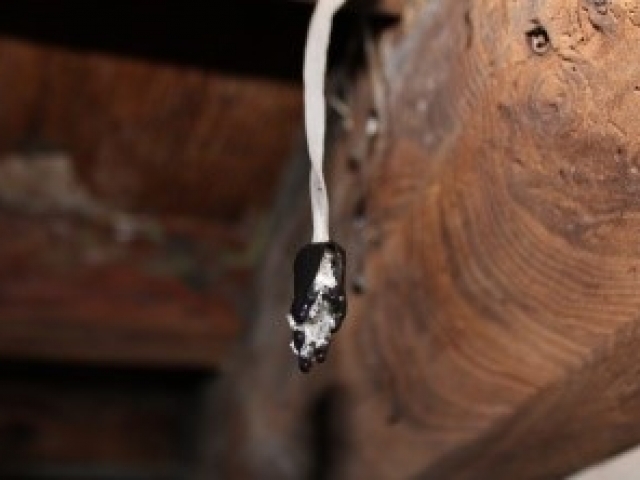 There are basically two main types of wood-rotting fungi found in building; wet rots and dry rot and it is not always necessary to distinguish between the many species of wet rot, as the remedial measures are generally the same for most of them. 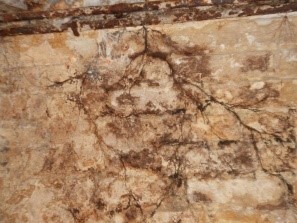 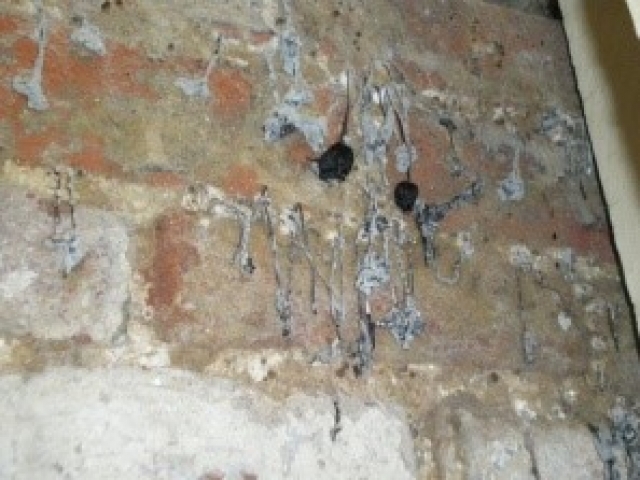 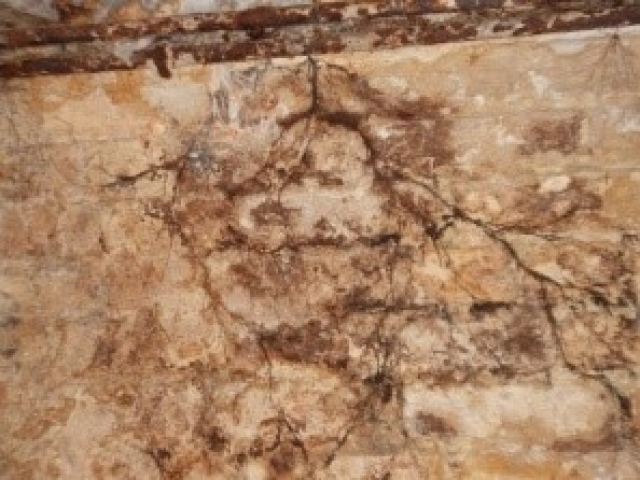 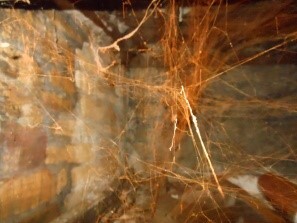 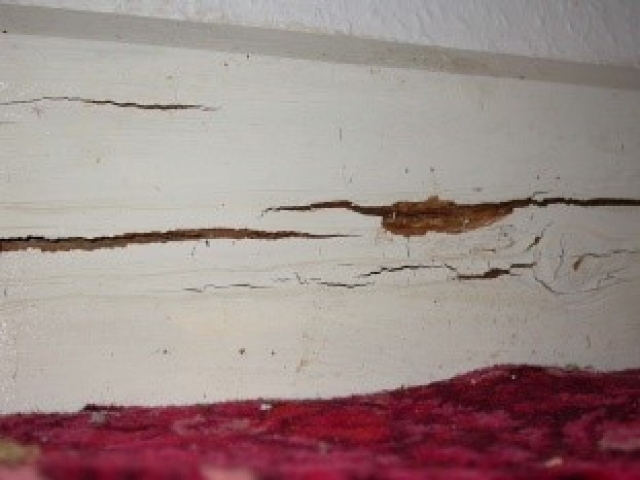 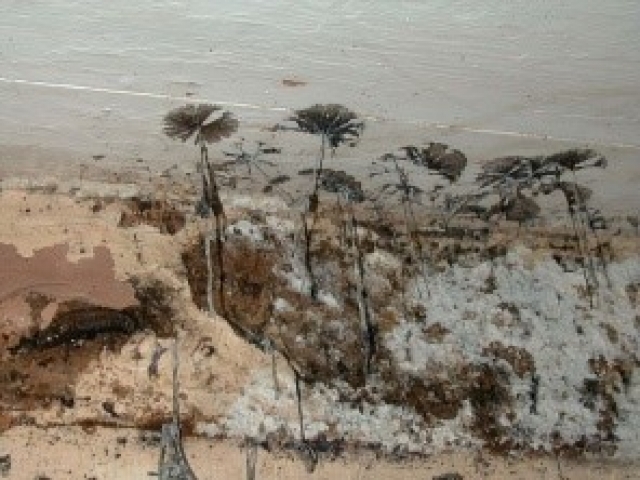 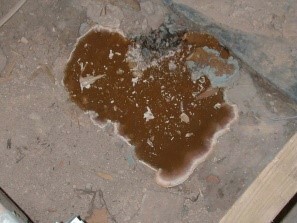 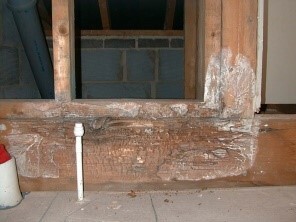 However, the successful treatment and eradication of dry rot can be more elaborate and generally more destructive and it is therefore essential that the diagnosis is correct so as to avoid unnecessary expense, inconvenience and more importantly irreversible loss and damage to the fabric of the building, particularly when dealing with period buildings of historic interest. 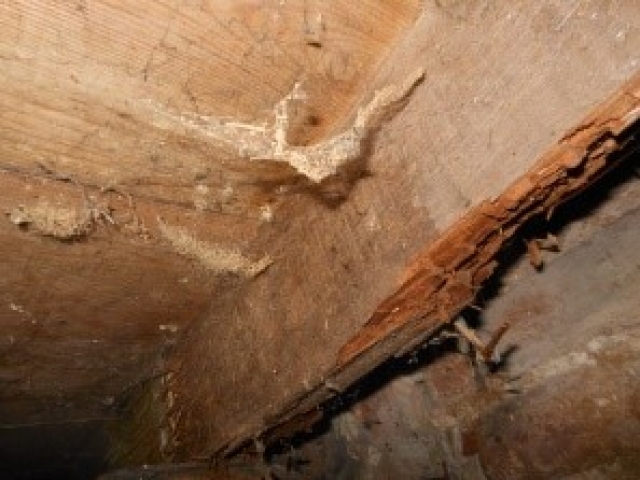 Dry Rot: (Serpula lacrymans) - Considered to be the most destructive of all wood rotting fungi causing extensive damage to timbers embedded in, or in contact with wet masonry. 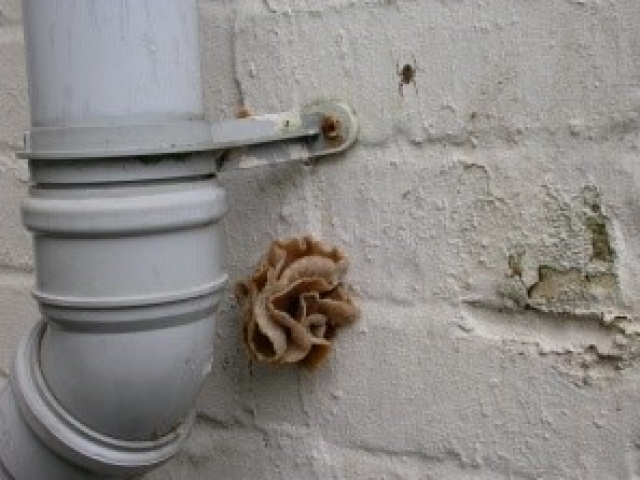 Attacks both soft and hard woods and is able to grow through and over masonry and mortar allowing the fungus to spread to dry wood if in unventilated conditions. 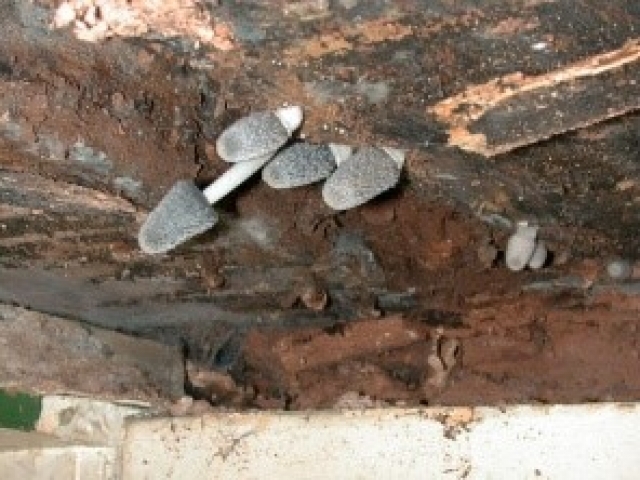 Cuboidal cracking of the timber or the appearance of fruiting body / spores is normally the first indication of a dry rot outbreak. 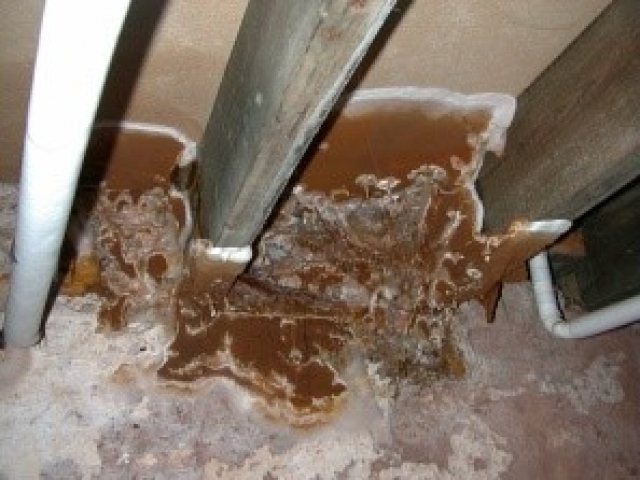 Statistics indicate the moisture sources responsible for most of the recorded dry rot attacks result from defects in down pipes and guttering systems. 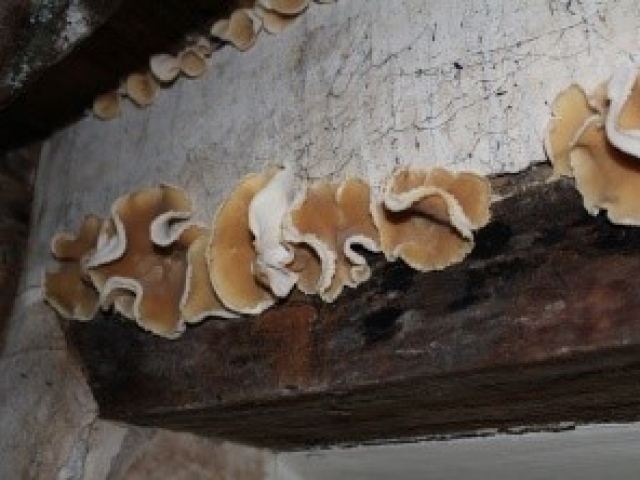 Coniophora puteana (brown rot) - Commonly known as cellar fungus and is the most common cause of decay in woodwork affected by water ingress. 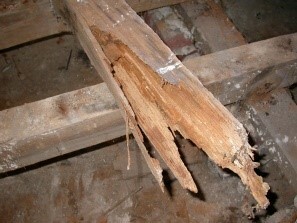 Attacks most types of soft and hardwood timbers. 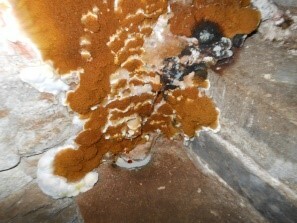 Fibroporia vaillantii (brown rot) - Commonly referred to as white pore or mine fungus. 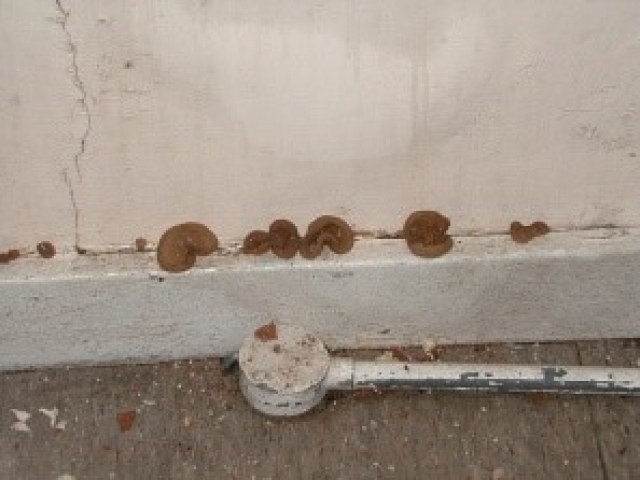 The poria species of fungi (of which there are many) are a common cause of timber rot in domestic buildings, particularly in areas where high temperatures and poor ventilation exist. 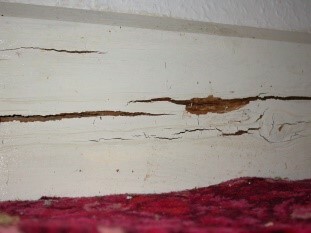 Attacks most soft and some hardwoods. 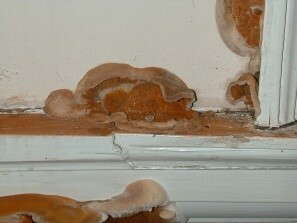 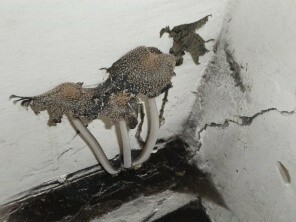 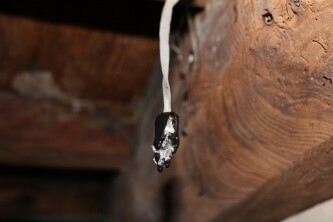 Asterostroma spp (white rot) - Common cause of fungal decay to softwood skirting board joinery. 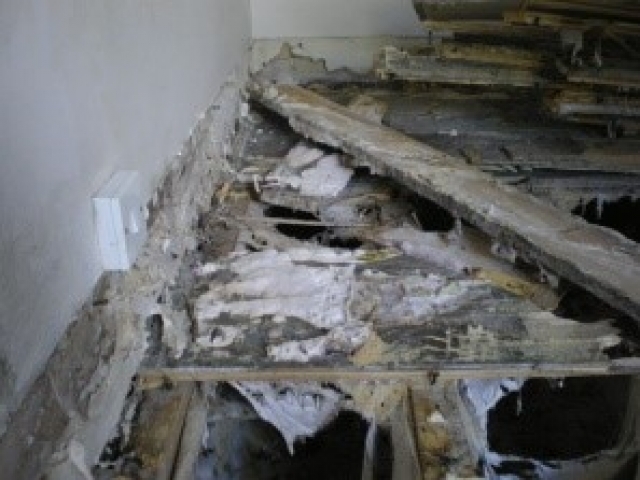 Timber bleaches and will eventually develop a stringy fibrous appearance, but unlike other wet rots there is no cuboidal cracking and the timber does not crumble. Phellinus contiguus (white rot) - Common decay affecting external joinery timbers. 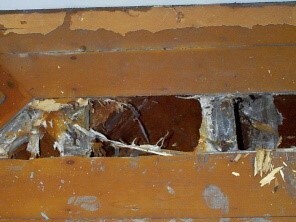 Attacks soft and hardwoods. Timber bleaches and will eventually develop stringy fibrous appearance, but unlike other wet rots there is no cuboidal cracking. Non Wood-Rotting Fungi’s (Coprinus spp, Peziza spp) - These fungi are commonly referred to as Ink cap or Elf cup fungi and are effectively grouped together as ‘plaster fungi’ and habitat damp brickwork, plaster, timbers and other damp building materials, feeding on surface detritus and organic material included within the walls and can often be mistaken as wood rotting fungi. 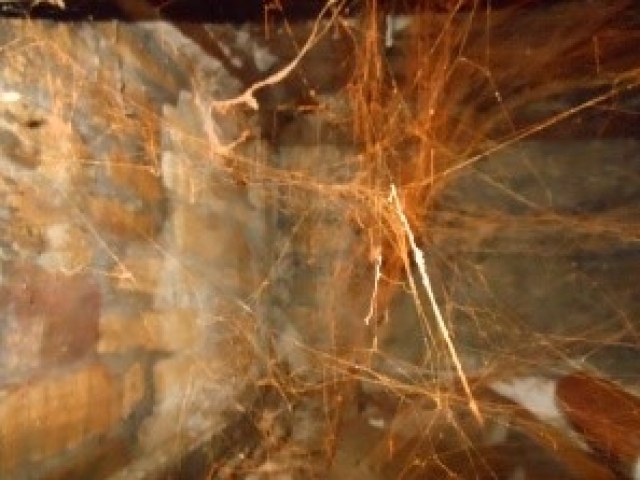 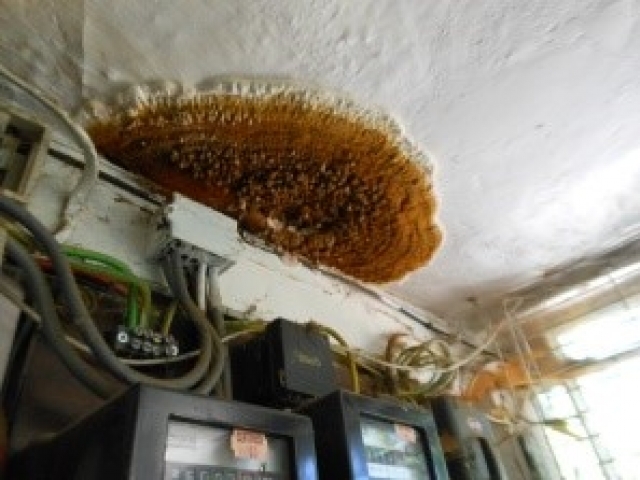 These growths often develop in buildings which have become neglected and damp, but also in fire damaged buildings where high volumes of water have been pumped into the building.